Now here comes the big one … temperature. The water temperature needs to be between 195-205 degrees fahrenheit. 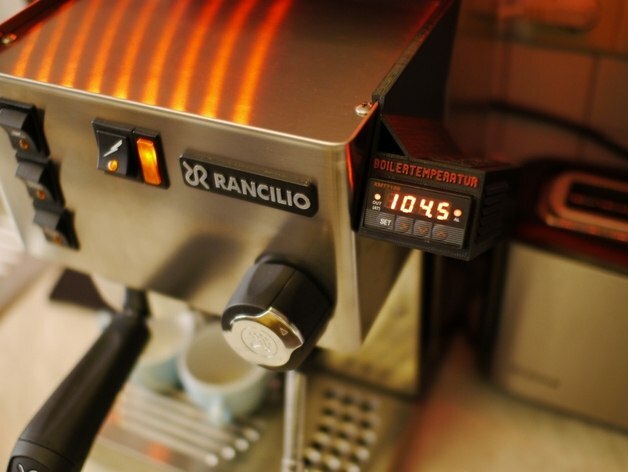 Most espresso machines that want to get specific with water temperature use a PID controller to achieve this crucial temperature. However, even though you might have heard the term “PID”, you may not know what it means exactly. So, let’s talk about the PID controller. Imagine you are driving along a busy highway and you are using those “chevron” markers on the pavement that indicate the distance you need to be from the vehicle in front of you in order to be safe. If you speed up and shorten the distance from the vehicle ahead of you, this could be dangerous if you needed to stop or brake in a hurry. If the car ahead of you speeds up, you would have to speed up. If the vehicle ahead of you slows down, you would have to slow down and then anyone behind you wouldn’t be safe. 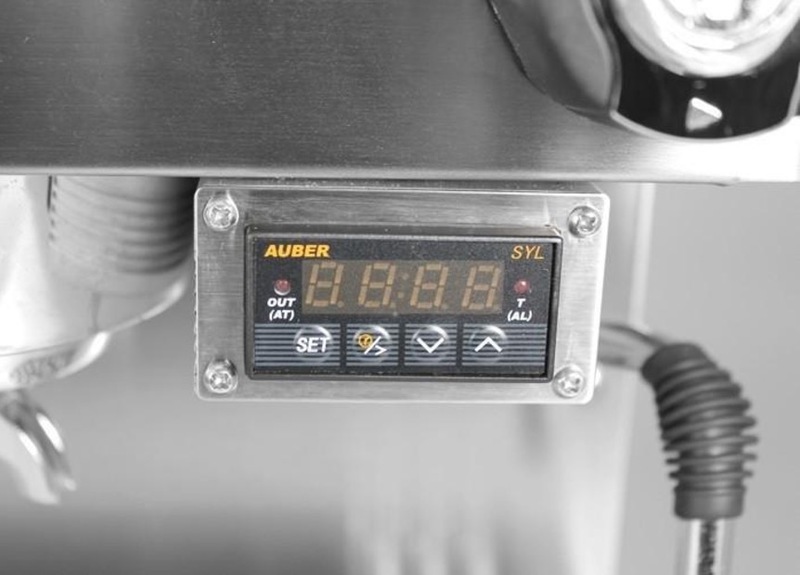 A PID controller is a device that is integrated into your espresso machine that regulates the temperature so that it stays exactly at the degrees you need to make the perfect cup of coffee. PID is an acronym for “Proportional Integral Derivative”. What a mouthful you say! Well if those 3 words sound like mathematical terms you may have heard in high school, you are right! Let’s break this down for you so that you can say you learned something new today. The PID is a control loop feedback mechanism or controller. What does it control? The temperature you need for that perfect cup. This controller continuously calculates the changes in temperature due to many small things. For example, maybe someone opens the door and a cold winter breeze passes by your espresso machine. Or, maybe the power supply for your espresso machine might experience a surge. 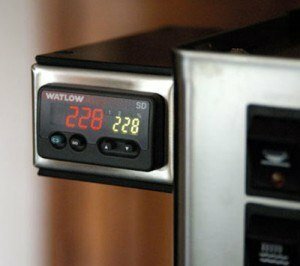 If you didn’t have the PID on your machine or if it wasn’t functioning, the temperature of your water would change. You don’t want that. Proportional is a comparison between 2 numbers. In this case, those numbers are the errors or differences in temperature. Integral refers to that most important constant temperature you need. As the temperature goes up and down, the PID controller tries to return the temperature to the integral degrees. Derivative is a prediction of what is going to happen to the temperature. How low or how high it might goes in the future. 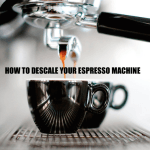 The PID controller tries to out think what might happen in the environment around the espresso machine, and keep the temperature under control before it happens to go askew. 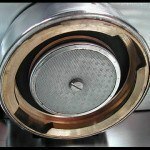 You have an electric heater inside your vessel for espresso. You also have a temperature – sensing attachment. Lots of things can go wrong especially if the PID controller isn’t well made. Did you get it? No? Yes! Well, either way, buy an espresso machine with a top of the line PID on it. 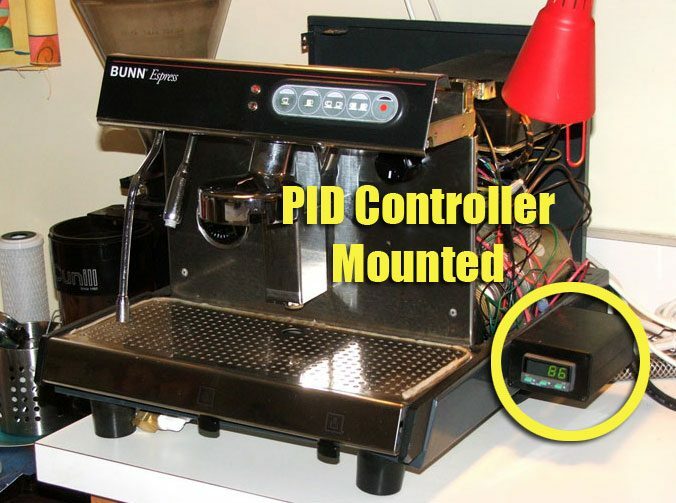 Even if you have to pay a little more, you want you PID controller for your espresso machine to be working to the best of its ability. 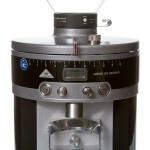 We also recommend this classy PID espresso machine. 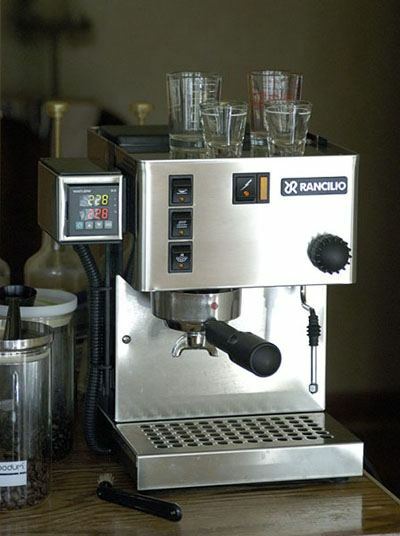 Automatically grinds, doses & tamps the required amount of coffee for mess free, barista-quality espresso. 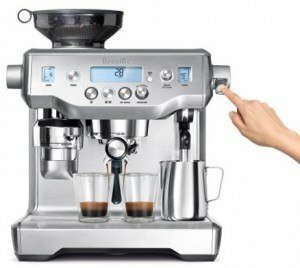 The Breville Oracle Espresso Machine can deliver fresh, high quality espresso coffee at a remarkable speed. 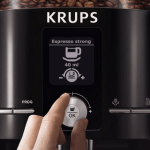 This integrated burr grinder can go from beans to espresso in less than a minute. 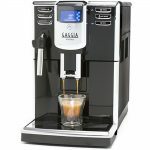 The art of espresso coffee in your own home has never been more easy. 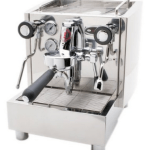 Whether you’re a beginner or an experienced barista, this express espresso maker will put a smile on you face and something warm and tasty in your stomach. With the flick of a switch, the grind size, dosage etc. will be perfectly measured for you. 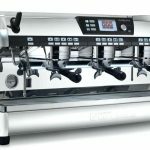 This Barista Express has a two dual-wall, pressurized filters that offer you a chance to experiment with grind sizes and tamping pressure and more. 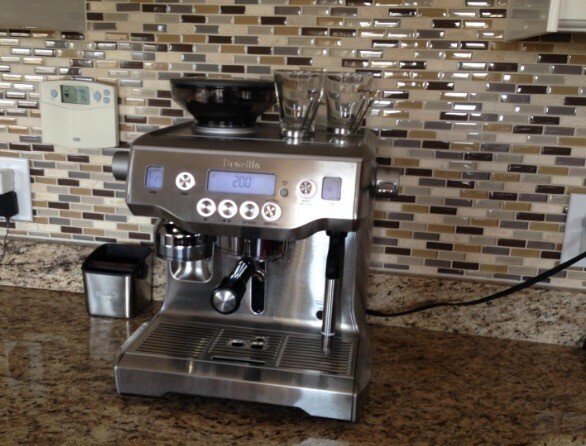 Breville’s designers always use high quality materials so the machine is sturdy and will last a long time. They even included no slip “boots” on it so once the activation process begins, the machine stays put. We have included a picture so you can admire the sleek stainless steel casing. Your kitchen will love this new addition. It is easy to clean and has a hideaway storage compartment and lots more. THIS IS REALLY A HUGE BUNCH OF CRAP!! Why is the Oracle crap? Wow. Way to really argue your case.